Brielle, N.J. (Feb. 12, 2019) ― Shore Point Advisors, a Brielle-based wealth management firm, will be hosting its 4th Annual Night Amongst Heroes Gala on Saturday, March 9, at the Crystal Point Yacht Club in Point Pleasant, N.J. 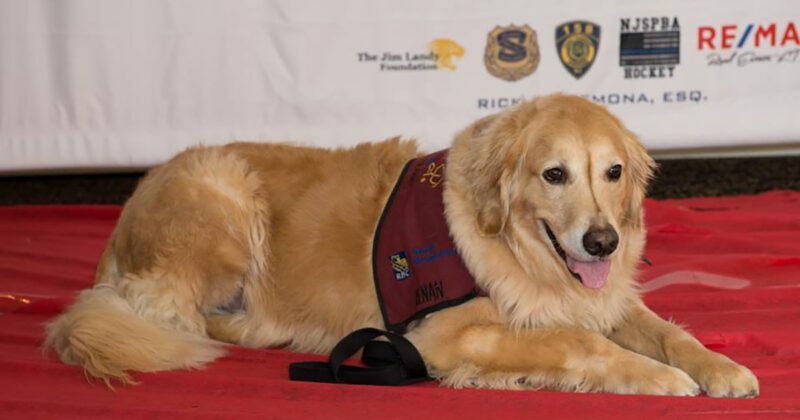 The 4th Annual Night Amongst Heroes Gala will benefit paws4vets, a division of paws4people, which trains and places specialized assistance dogs with veterans and active-duty service members who are living with psychiatric, emotional or physical difficulties as a result of Post-Traumatic Stress Disorder (PTSD), Traumatic Brain Injury (TMI) and/or Military Sexual Trauma (MST). Tickets for the 4th Annual Night Amongst Heroes Gala are available for purchase online (buy tickets now), and the cost of each ticket is $100. Attendees will receive admission into the Gala, which begins with a cocktail hour that is followed by a seated dinner with an open bar, live music and deejay. Additionally, bidding will occur during the Gala for a Silent Auction to win unique experiences and one-of-a-kind items. paws4vets staff and client/dog teams will also be in attendance to meet with guests and to pose for photos. The official starting time of the 4th Annual Night Amongst Heroes Gala is 7:00 PM, and the event will run until 11 PM. The Crystal Point Yacht Club is located at 3900 River Road in Point Pleasant, N.J.
For media requests regarding this event, or if you would like to send a media representative to cover this event, please contact John Archibald at jarchibald@ResSports.com. paws4vets places customized Assistance Dogs with veterans, active duty military and military dependents living with various disabilities. paws4vets is part of paws4people, a nonprofit whose mission is to educate and empower people to utilize Assistance Dogs to transform their lives. Through the paws4vets Assistance Dog Placement Program, Veterans, Active-Duty Service Members or their dependents with physical, neurological, psychiatric or emotional disabilities can receive Medical Alert Assistance Dogs, Psychiatric, Mobility Assistance Dogs and Specialized Partner Dogs (Emotional Support Animals). For more information, please visit www.paws4vets.org. Shore Point Advisors is a Brielle, NJ based wealth management firm comprised by a team of talented individuals who share the common philosophy and primary goal of providing objective advice to make informed financial decisions. The firm provides a variety of wealth management services to meet the needs of businesses, individuals and families. These include portfolio advisory services, wealth and asset protection, retirement and estate planning and more. Make sure follow the firm on Facebook, Instagram and LinkedIn.